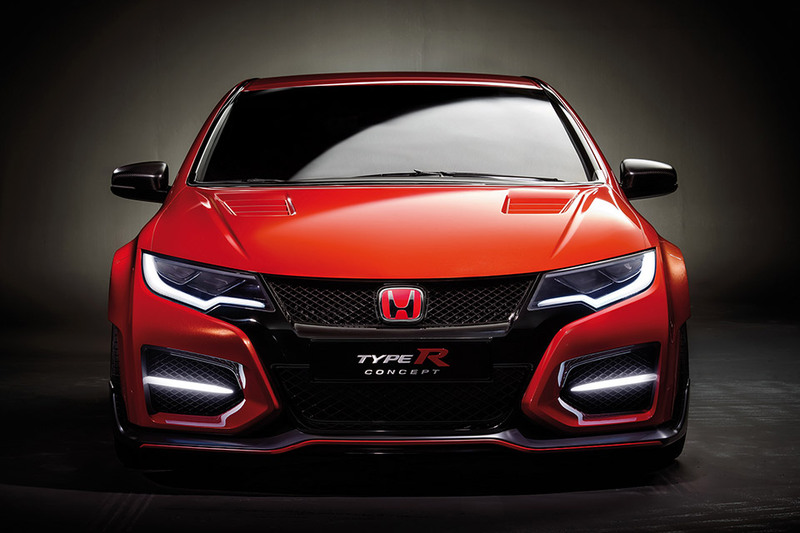 After teasing us with a rough sketch, Honda drew the curtain surrounding the Honda Civic Type R Concept at the 2014 Geneva Auto Show and this is a beast of a Japanese hot hatch. 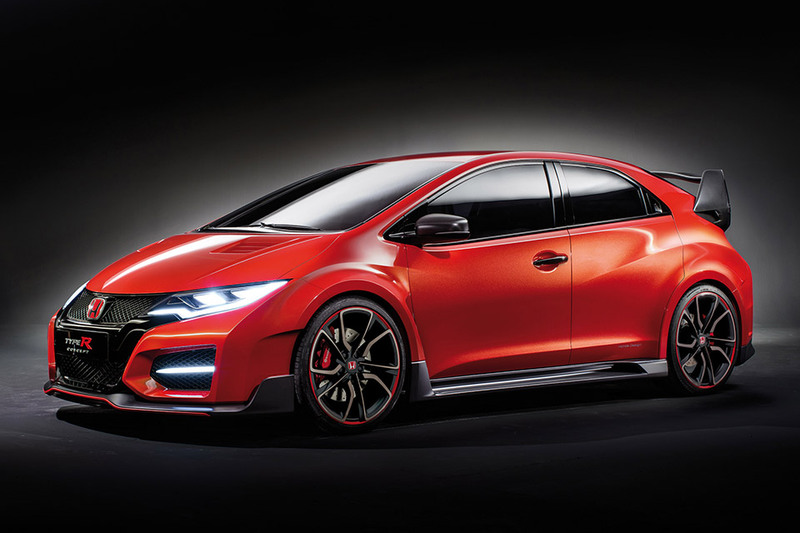 Honda says the car’s 2.0-liter, inline four-cylinder, turbocharged VTEC engine will produce “more than 280 horsepower” and the goal is to record the faster lap around the Nürburgring for a series production, front-wheel drive hatchback; a record currently held by the Renault Megane RS 265 Trophy. 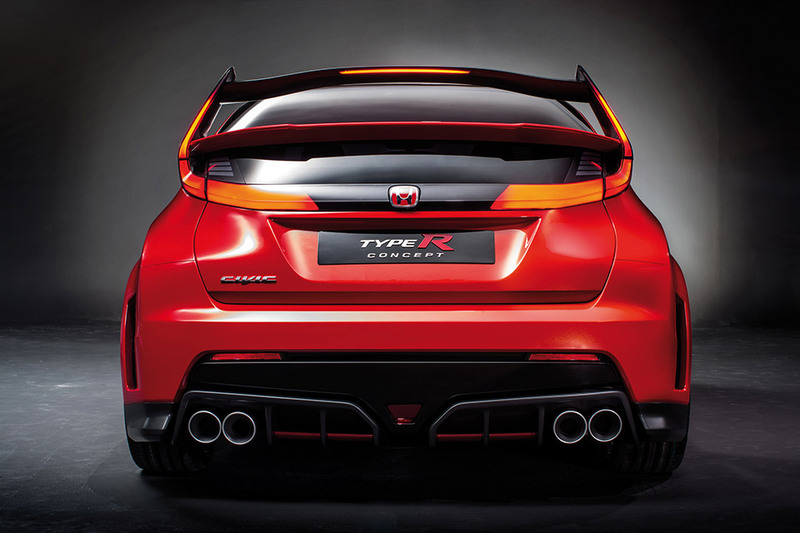 Dubbed a “racing car for the road,” the Civic Type R is the most capable Honda hatch by far. And the performance doesn’t end with the engine. The car’s two-tier rear wing shape and angle are a result of track testing and the larger upper and lower front grilles are designed to provide maximum cooling in conjunction with the hood vents. The front and rear wings have been widened to hold giant 20-inch wheels and include integrated outlets to improve airflow.